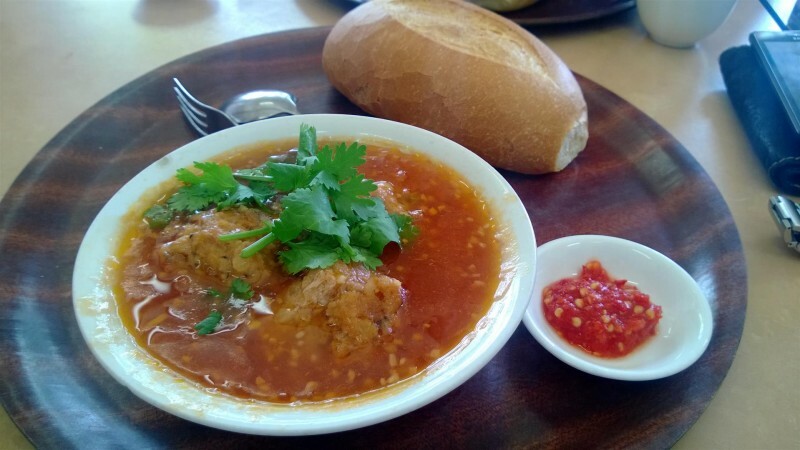 Delicious pork meatballs in a tomatoey saucey soup-like broth served with a side of chilli and a crusty bread roll for dipping. Not the usual sandwich-like arrangement that also bears the same name though this version comes with cutlery, table service and free tea. Misses out on vegetables etc. however for the price ($5) you can’t complain!